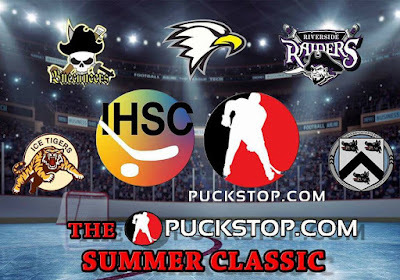 The Widnes based Riverside Raiders recreational team have announced they they will be taking part in the 2017 Summer Classic competition, sponsored by www.puckstock.com . The competition consists of 5 teams who will play each other home and away on a league basis. The other teams are the Sheffield Ice Tigers B team – who play their home games at iceSheffield, Blackburn Buccaneers and Wyre Seagulls who both play at Blackburn Arena and Grimsby Stormers whose rink has now been granted a six month reprieve and will now - happily - be able to host home games.